This blogging thing might be the best thing ever invented. NOT (you’re gonna have to remove me ’cause I ain’t going nowhere). Anyways, it’s gorgeous because blogging keeps me thinking about new projects and makes me go on. 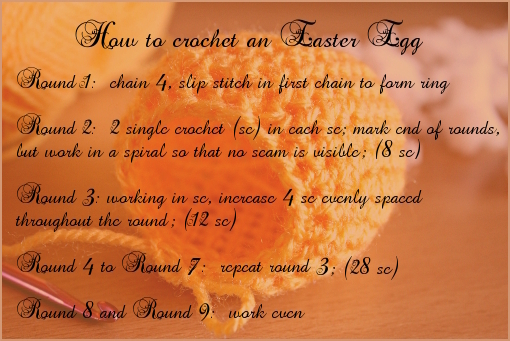 With Easter being just around the corner, I think it is a very good idea to get ready and stuff your home with as many Easter eggs as possible. 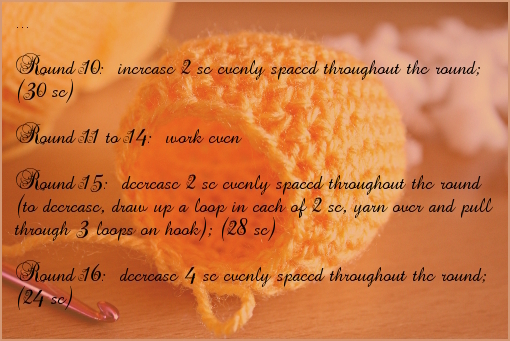 And why not have some of them crocheted? This is my way of creating them. 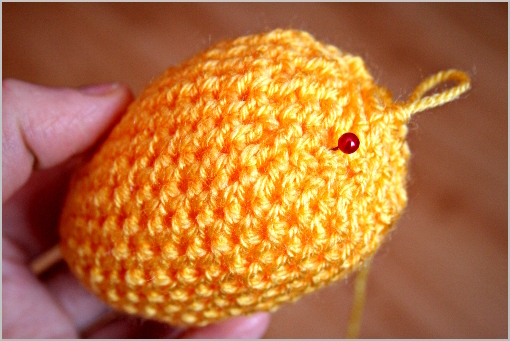 You can find a pattern below… until then, enjoy the step-by-step pictures. 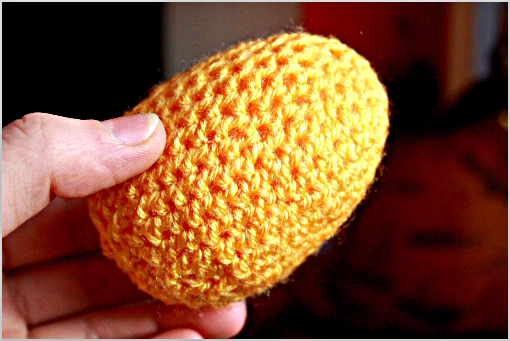 This is an almost finished egg waiting to be stuffed. 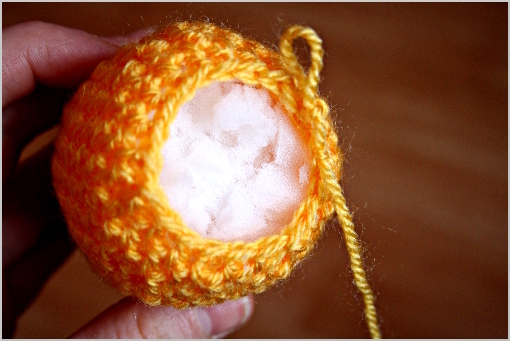 You can stuff your crocheted egg with scrape yarn, cotton stuffing, fiberfill or polyfill. These can be found in your supermarket or in a craft store. I marked the ends of the rounds with this pin to know where they started and where they finished. I really like the shape of this egg (and really don’t like the dryness of my hands). With every new little spring decoration I manage to get, I become more and more relieved. Because I like to welcome this greatest season of all in a really big style. 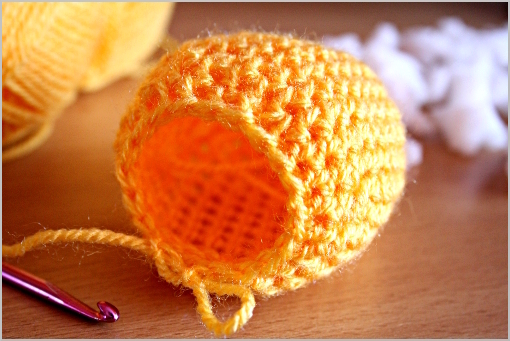 Hi, can you teach us how to crochet that beautiful basket? I am going to try this pattern but I wish it said the hook size and recommended ply for this pattern. May you post the basket pattern? 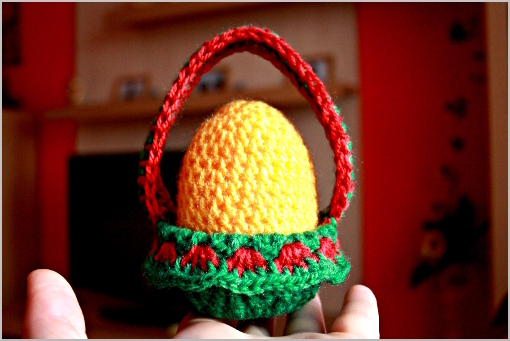 It would be great idea putting the real egg in, one for each guest, like a… Mark for their place at table. 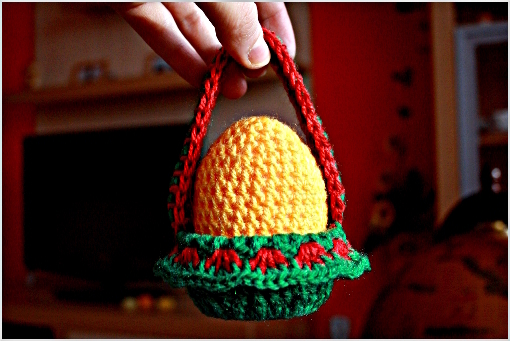 Anna, you can find a similar basket pattern here: https://zoomyummy.com/small-crochet-baskets/.